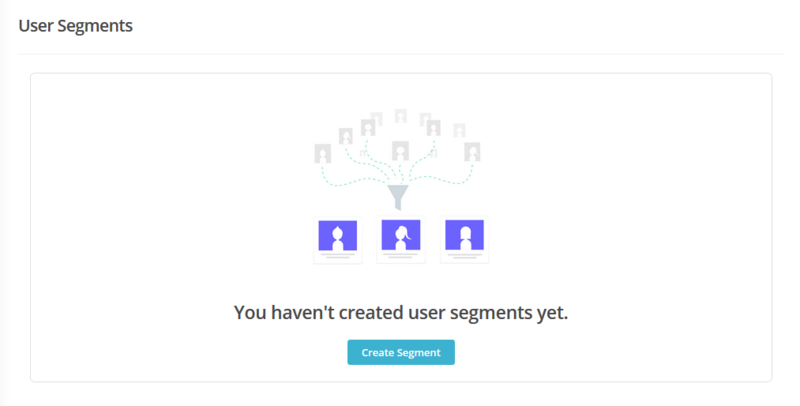 User Segmentation allows you to send Broadcast Messages to a specific set of users rather than the whole bunch of them. For example, you have a chatbot which takes order for groceries. Let says you want to have a special discount on some dairy products and you only want to send this message to users who have bought or asked for milk. In this situation user segmentation becomes handy. Creating user segmentation is very easy. In this tutorial we have an entity called “Dairy” which contains a value of “milk”. *Notice: “Store as user attribute” toggle should be enabled when creating an entity. Login to your dashboard. And from the side menu expand the Users option and select User Segmentation. Name the segment according to your entity. Select Entity from drop-down, select operator from drop-down and set value. We can filter milk buyers easily by creating this segment. We have successfully created user segmentation. Let’s send our first broadcast message! In the side menu go to “Promotion” option. Click on “Broadcast Message”. 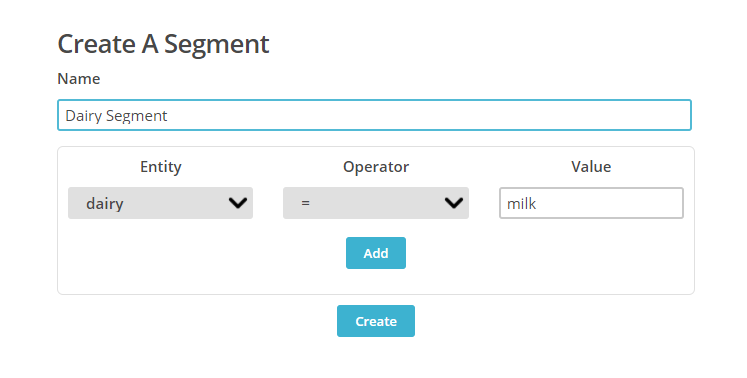 For the user segments drop-down select Dairy Segment and type in the message you want or attach plugin as you like. Now click Send Message button. 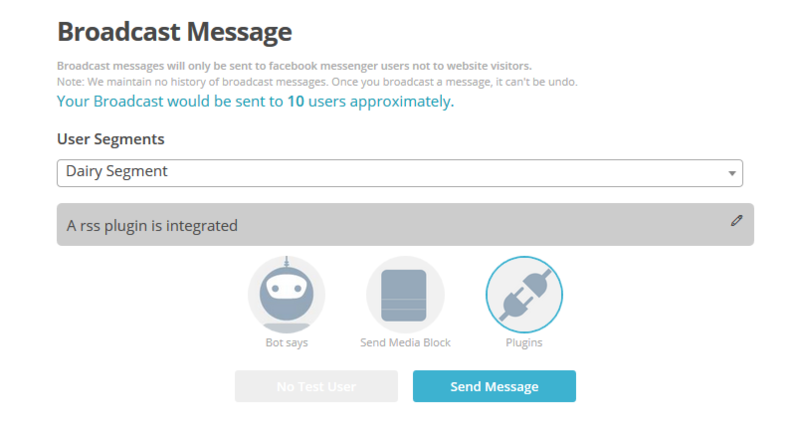 This broadcast message will be send to those users only who had a conversation with your chatbot for milk.